Got any leftover leftovers? Any Tofurky lurking? Here's a shroom recipe just perfect for those links, I think. We made them for our Gratitude celebration so if we have them again they would just be leftover, leftover, leftovers and there isn't any leftover. Whisk oil and balsamic and sea salt in medium bowl. Gently toss shrooms to coat. Marinate for 10-30 minutes. Arrange on baking sheet round side up. 1 C Daiya of your choice. Preheat oven 400. Mix all the Tofurky ingredients in a bowl. How easy is that? Spread on baking sheet and bake for ten minutes. Remove and fill portabello caps with cooked stuffing. Top with shredded mozzarella or cheddar Daiya. Bake for 10-15 minutes. Serve with your favorite sauce, gravy or aioli. You were so good eating all your veggies that it's time for dessert. My crazy friend brought over three different kinds of vegan ice cream. 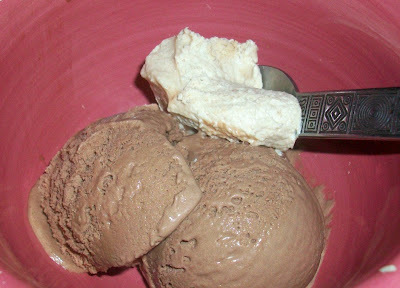 That's right three different kinds of ice cream that happened to be all chocolate. 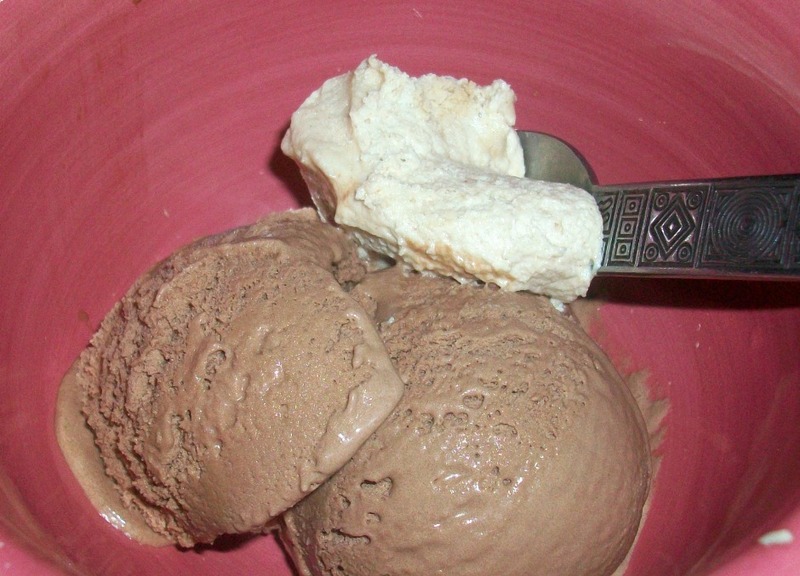 Did I ever tell you that I'm not particularly fond of chocolate frozen dessert? I must say I did have a bite of the Soy Dream PB and Fudge. And was pleasantly surprised, but did not partake in the following. Larry and our buddy did however pair it with leftover PB frosting and highly recommend the goofy buzz.